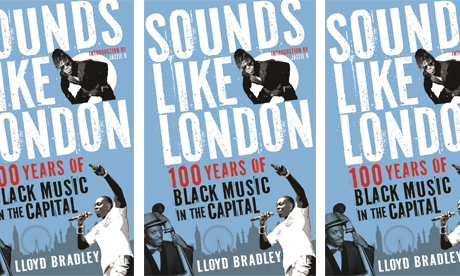 I have recently read “Sounds Like London”, a book by Lloyd Bradley charting the history of black music in London in the last century. It’s an engaging book with interviews with key participants showing the author has spent a lot of time on his research. It is necessarily partial, and Bradley sets himself the task of dealing with music as it was generated by black communities in London. So, we get jazz, African rock, lovers’ rock and jazz funk, but not much on styles pioneered elsewhere like roots reggae or hip-hop. To be honest, the hip-hop omission is perhaps the biggest as there was a London hip-hop scene that was distinct and did develop its own style - rapping in an English accent and use of reggae beats, for example, but that’s a minor quibble as its descendant in grime is covered in detail. The first section looks at the first generations of immigrants and their music. It begins with the famous footage of Lord Kitchener (the calypso singer rather than warmonger) coming off the Windrush and singing “London is the place for me”; and Kitchener’s subsequent stay is used to illustrate both the market for calypso and the reach that the music had. The book covers the earliest beginnings of black music in London with the post-First World War jazz bands, where black American or West Indian musicians joined or formed dance bands, some of whom attracted the patronage of royalty. It follows through other migrant styles during the 50s and 60s: steel-pan, free jazz, Afro-rock and funk. The stories of all these styles bear a resemblance. In each, performers encounter racism and music industry insiders try to change the way they perform. The success or otherwise of each genre depends on how independent and self-organised it is. This theme of self-organisation becomes more explicit with lovers’ rock, the female-centric genre of sweet reggae that originated in London in the 70s and early 80s. I found this the most compelling chapter as Bradley charts its evolution from the sound systems that played to dances at the weekend in a very competitive scene. Jamaican reggae at the time was very roots-oriented, and the mainstream record industry was focussed on finding the next Bob Marley. Roots reggae was very masculine and very political – it didn’t appeal to a lot of the young women wanting to go to the dances and just have fun. Some sound systems started to market themselves in a softer style to attract a mixed audience and found young women to sing over instrumental tracks or cut dub-plates. They had a quick measure of success, as audiences would interact and ask for particular records. The scene was self-organised and self-sustaining and mainstream coverage came much later, though once record companies started putting out records in a lovers’ rock style they became big hits. The style was even exported back to Jamaica. Bradley is explicit in this, the survival and longevity of the lovers’ rock scene was down to the fact that it was run by the sound-systems and wasn’t mediated by the record labels or radio stations, thus evading their racism and lack of understanding. The next scene Bradley covers is the jazz funk wave that came at around the same time as lovers’ rock, featuring bands like Light of the World, Linx or Central Line, which was massive in the suburbs. Unfortunately, it was this suburban focus that brought home the lack of control the artists had – many of the DJs who played at the big suburban clubs in Dartford, Luton etc. were white. The audience were white. Black youngsters, even musicians in the bands, coming out to them were regularly barred from entry. The record companies also had much more control, imposing inappropriate producers and delaying record releases and dropping the bands once white soul boys like Spandau Ballet became main-stream. The final part of the book covers where London’s black music is now, which is that it is effectively the mainstream, even though the police still give grime promoters a hard time. It has become the mainstream through a do it yourself ethic that is far more widespread than anything associated with punk. The digital age has weakened the hold of record companies and allowed performers to communicate much more directly with their audience. And, perhaps most of all, the experiences of black and white Londoners are shaped by class far more than race. Hence white pop stars often have a public school background - the same cannot be said of Dizzee Rascal or Tinie Tempah, which may account for why the mainstream London sound is black and urban. Good stuff as always. Talking with svartfrosk about this book made me dig out some 80s reggae too. Eek-A-Mouse. Oh yeah.